So, as it stands at the moment, Disney are digging into their back catalogue, and following Alice in Wonderland, Maleficent, and Cinderella, over the next couple of years we are getting live action remakes of The Jungle Book, Beauty and the Beast, Dumbo, and Mulan, as well as a remake of Pete's Dragon, and the James Bobin (The Muppets) directed Alice in Wonderland: Through the Looking Glass, the sequel to the movie that kicked off this whole new trend for the House of Mouse. You'd think that would be a full plate for them, but no, they've added another live action remake to their upcoming slate, with Deadline revealing that indie film maker Ross Perry has been lined up to bring Winnie the Pooh back to the big screen. Director of last year's Sundance favorite Listen Up Philip, starring Jason Schwartzman and Jonathan Pryce, Perry seems like an odd choice, considering the high profile names like Jon Favreau (The Jungle Book), Kenneth Branagh (Cinderella) and Tim Burton (Alice in Wonderland, and Dumbo), but their must be something in his work that Disney feel is right for this new take on Winnie the Pooh and his friends. 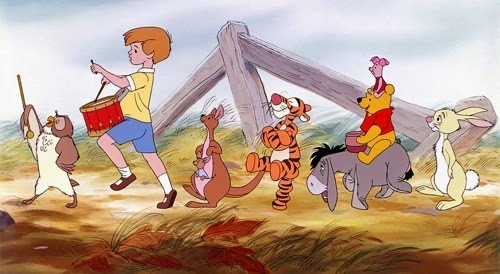 The new tale will take place many years after the honey loving bear's many animated adventures, with a now adult Christopher Robin summoned back to the Hundred Acre Woods by his animal pals. There is no word on how Perry will bring Winnie the Pooh, Tigger, Piglet, and the rest of the gang to life, but safe money on a heavy dose of CGI being used.